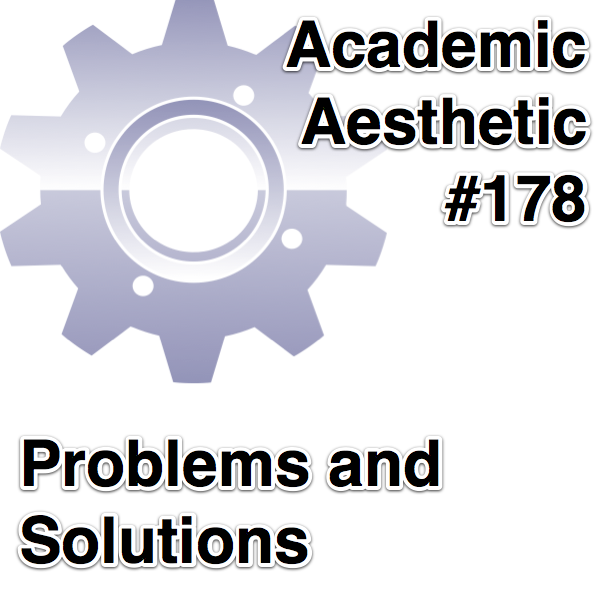 This is an episode about problems and solutions as I look ahead to next year’s curriculum. 9 week curriculum needs revising. This is a course that can be repeated every year. Even if I didn’t need to change the lessons to keep it interesting to ME, I would still need to change the lessons to keep it interesting to my students. Change the “plot” of most projects. Instead of building a tree using 3D Tin, build a flower (or something else)! Projects too simple for a “plot” change can be retired, replaced by new assignments. Major curriculum needs a large overhaul. There were many projects that worked well, but others that did not. Some were based on specific time-sensitive events, like our school’s Fall Drama production. In addition, the majority of the class (I have 7 students moving on to High School) will be in the course next year. This can’t just be a repeat, I need a full year’s worth of new projects. Film Festival projects are cutting it close – very close – to our deadline. With 5 weeks to go many students still have not finished their scripts. Spread Film Festival projects out through the entire year. Script/Storyboard due Q1, Final Movie due Q3, Trailer due Q4, and a new “Making of…” project due Q2. These projects will reside OUTSIDE of the Levels format existing for the other projects, and can be handed in regardless of the level of the student. 5th Grade curriculum relates to the 9 week curriculum much more than it does to the Major curriculum. Incoming Majors have experience with technology but there is much room for improvement. Redo 5th grade curriculum to follow gaming model. Move some “retired” 9 week lessons to 5th grade to give them a feel for the program, then simplify some Major lessons and introduce them has higher level 5th grade projects. Site design could use an overhaul. (This seems to change every year.) I used MediaWiki for Middle School’s class sites because I wanted to teach myself how to use MediaWiki. Now that the challenge is gone I am seeing MediaWiki’s shortcomings. My options are to install plugins to give MediaWiki the functionality that it lacks OR to move on to something else. Hand coding, Google Sites, WordPress, Drupal, Wikispaces, Tumblr, … something else? I am still looking into all of my options. Many of my tutorials must be redone. 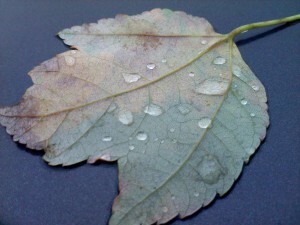 Some are no longer relevant as better techniques have been developed, others need to redone now that websites and or apps have been upgraded. Nothing to it but to do it. The kinks for this have already been worked out, the rest is just time management. Technology can be lacking. We have more cameras this year than any previous year, yet I do not have enough cameras to provide one to each student. Many students do not have technology at home needed to complete assignments. This has been partially solved by creating “low tech” projects that relate to technology but don’t require it for an A. More can and should be done. Donors Choose for cameras? Create a “recommended purchases” page on the class site? (I cannot “require” anything more than a flash drive, but I can “recommend” anything.) Provide weekly lab time after school to any students that wish to work on something. Last year I rewrote my curriculum to make it into a game, and doing so helped my students master the content. This is my presentation on what I did, as given at this year’s Powering Up With Technology Conference. Apologies for the poor audio quality, I was projecting (using my “teacher voice”) to the participants and that tended to overwhelm my mic every time I was next to the computer. 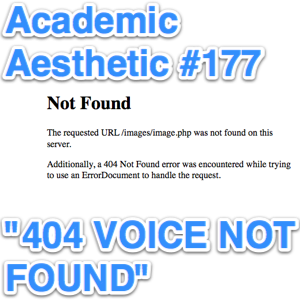 This episode of Academic Aesthetic is brought to you by antibiotics and cough drops. You see, early last week a combination of lots of talking (occupational hazard of teaching), and post nasal drip caused by a sinus infection made me lose my voice. It’s better now, but can only talk so long before my agonized squeaks become a source of amusement for all around me. So submitted for your approval is an interview of me done by Dr. Kavita Mittapalli, someone whose name I most likely just mispronounced horribly so I won’t try to say it again. The good Doctor visited one of my 1st grade classes last week, before the whole AWOL voice incident, and recorded a conversation with me afterwards. I rambled on, and then made the bad decision of requesting a copy of the interview. And I still haven’t learned, as I’m now making another bad decision and playing it for you. Enjoy. Oh yeah, games in education. I started in Episode 174 by giving a background of what I’d done up to that point, which I suppose means that’s not when I started at all, but that’s the post I named “Part 1” so I’m just going to leave it at that. 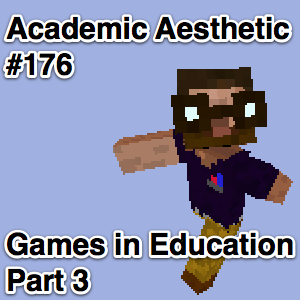 In Episode 175 I discussed my current thoughts about turning my own Middle School curriculum into a game, including several problems and solutions I’d encountered. Some problems had multiple possible solutions, and I’m not quite sure which ones I’ll pick when I’m done. Now we’re up to the errata, the extra things, the little details that help the big picture idea without making or breaking it. Also, keep in mind the disclaimer I offered in Part 2: All of this is not yet implemented and is subject to change based on whims as well as school policies. If my principal glares at me and says “Mr. Smith, stop being an idiot,” I’ve no choice but to salute and about face. When adopting a game-themed teaching strategy, assignments become known as quests. My students who have played any RPGs (A.K.A. Role Playing Games, such as Warcraft, Final Fantasy, Kingdom Hearts, etc.) will already be familiar with the terminology, and those who have not will still hopefully be able to make the adjustment. The word “standard” is used here only to differentiate these from other quests. Students select these, attempt them, and if they fail they can try again. When they succeed they get the points attributed to the quest and move on to their next chosen quest. Students cannot get credit for completing the same Standard Quest twice, though they can attempt to redo a failed quest as many times as is necessary. The only thing they miss out on is time. The quest text could be the same each day or be selected from a pool of quests, but the point is these quests are meant to be repeatable with different results each time. Oh, and like Standard Quests, these can be repeated if failed. They just can’t be successfully done more than once per day. In the “real world,” so to speak, a boss is an employer – someone who tells you what to do and (hopefully) pays you for it. In most video games, a boss isn’t your employer. Instead, they’re bigger, nastier enemies for you to take down. This is compensated by earning better than normal loot and XP (experience points, remember) when you win. My quizzes and tests fit well into this category. Quizzes and tests as a whole are worth only a small percentage of my students’ final grade, but as I give far more projects than quizzes each assessment becomes worth more individually than any single project. As with the quests, these boss battles should be repeatable. If a student takes a test 20 times to pass, but then passes, then they’re showing they’ve learned the content being covered. Getting it right the first time becomes less important than getting it right eventually. A component that has been part of my course since my first day on the job has been the submission of work online. I just don’t see the need to require an assignment to be created on a computer, then be transferred to a dead tree, then have its grade placed back on a computer. That middle step seems pointless and, considering the days where my wife’s health issues have kept me out of the building, a major road block at times. I’ve tried multiple solutions for online assessment, including Drupal, Status.net, WordPress (the self-hosted version), and Edmodo. I’ve been quite happy with WordPress, as it solved several problems I had last year with Edmodo (I’ll get into those in a little bit), is simpler to use than Drupal, and doesn’t allow the students to send private messages to each other like Status.net. Unfortunately WordPress lacks an addon that will manage points the way I want to manage them. Fortunately, Edmodo does that part perfectly. Using my old grading system I chafed at the way Edmodo totaled up points when I graded assignments, but their method of counting up all the points equally will fit right in with the new standard for my class. A previous issue I had with Edmodo, where students submitted the wrong file for a project and had to wait for me to delete their submission so they could try again, has been resolved. Students can resubmit a project as many times as they want until I grade it. As I won’t grade them until they’ve completed the quest, this works out very well. My only misgiving with Edmodo at this point involves student profiles. They have the ability to change their profiles, including their avatars to whatever they want. 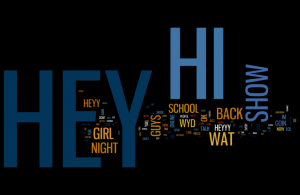 This could give rise to issues ranging from inappropriate imagery to students changing their names to attempt some form of anonymity while they harass someone. I’ve dealt with one student this year already who thought nothing of insulting other students online, and that was on a site that afforded me a lot more control over student accounts than Edmodo ever did. That issue makes me think of proceeding with caution, but unless I find a better, more controlled solution, we’ll be using Edmodo when I start using my Game strategy. After all, I can always set an offending account to “read-only” until the issue that made me take action is resolved. In most RPGs, players are able to select different classes, or archetypes for their characters. Common class examples in existing RPGs are warriors, mages, rangers, hunters, rogues, priests, paladins, and so on. While I’m not planning on implementing this idea right away, I’m toying with eventually allowing my students to pick a class while … um … taking my class. Since I teach at a Creative & Performing Arts Academy, classes can align with the majors that are available. Students could choose to be bards (for the music-themed or drama majors), artificers (visual arts), performers (drama or dance), or go with the catch-all technologists. Each class could have specific requirements (Mandatory quests? Specific boss battles?) and / or perks (Bonus points when completing quests that align with their class?). Naturally something this complicated will take a lot of planning to use in an effective manner, so I’m starting to think about it now, long before I intend to try it out. With luck I’ll be able to work out the details over the summer and have students selecting classes when they take my course next year. Well this concludes my brain-dump for now. Rest assured there will be a Part 4, but don’t expect it right away. I’ll write that one out when I have enough new content to make it worthwhile. Yesterday’s post was not meant to be as long as it was. My initial goal was the content of today’s post, but as I sat down to write it I thought I’d start with an overview of where I was coming from. Apparently a 2 paragraph introduction can be stretched into a 7 minute podcast. I’ve had people say wonderful things about my classes, but what I mainly see is room for improvement. If 90% of my kids are on task. that means a full 10% of them are distracted somehow. I need a hook to reel in that 10%, 5%, 50%, or whatever percentage that isn’t learning in my room. And so we look at video games. 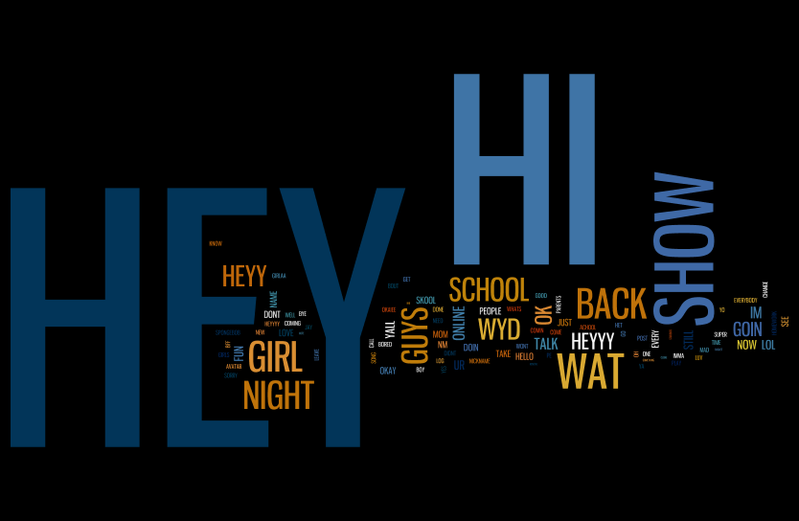 Keep in mind that this is a “behind the scenes” view of my thinking process. Nothing here has been implemented by me yet. I may think of something better. I may find out that there’s a policy preventing one facet or another. This post is a snapshot of my thoughts as of right now. What do games have that my curriculum is lacking? The most engaging games are ones that have some elements that are simple enough to pull you in, but others that are challenging enough to build you up. The most engaging games have levels of progression. These levels can be different zones, game maps, scenarios, or character power. Angry Birds and World of Warcraft are not that different when you dig down deep enough. The most engaging games forgive failure. You can play a level over again, or fight that boss battle one more time. This is very different from the current academic strategy of allowing a student only one opportunity to pass a quiz. Make the class a game. Something I’d heard of last year was the idea of using a points system instead of traditional grades. Students earned points (called XP, short for Experience Points) by completing various tasks and assignments, and earning certain numbers of points allowed students to “level up.” One story about a college professor was republished a lot, but with little information on how it was specifically implemented. The WoW in School teachers implemented a system with 2,000 XP per level, so a student with 0 XP would be level 1, at 2,000 XP they would earn level 2, 4,000 would get them to level 3, 6,000 for level 4, and so on, then assigned grades at the end based on levels reached. 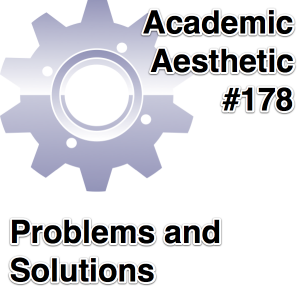 Assignments all had point values – Journals = 250, Forums = 250, Projects 500+, and so on. Competition: Some students will want to show they’re “better” by maintaining the highest score. Clear Progression: If a student gets an A on their first project, they have nowhere to go but down. Maintaining a grade is not as exciting as building one from the ground up. Choose Your Own Adventure: Linear lessons are all well and good, but different students have different interests. When I’m playing Warcraft I can often pick and choose which quests I want to work on. Why not let students pick between different projects that address the same objectives? Not every one of these incentives will work with every student, but not every facet of Warcraft appeals to every player. The goal is to have enough varied incentives to appeal to a wide demographic. Align the new standard with the old requirements. And so we get to the tricky part. My employer uses online grading software that has very specific requirements in place to force teachers to stay on task with their grading. I’m not about to complain about this software, as I think having something that allows students and parents to stay on top of student progress throughout the school year in addition to Progress Reports and Report Cards is a fantastic idea. It does, however, present a challenge. How do I make an XP grading system compatible with an A B C D F grading system? Teachers in my county are required to enter one or two grades per week based on how often they see their students. As my school is on an A Day / B Day schedule, I fit under the one per week category. The grade can be anything: homework, quiz, test, project, warm-up, etc., and I can always put in more than one grade per week, but I need that minimum. The solution I came up with was to stop naming my Projects in the grading software. Instead, they’ll be “Week 1 Project,” Week 2 Project,” and so on. I’ll still require students to complete at least one project per week, but which they pick first will be up to them. When I grade the work, I’ll list the name of the actual project in the comment section in the grading software. One solution to this is to assign grades based on levels. Let’s say for example that the maximum level possible from doing all the work is 20. I could say that all students that are level 18, 19, or 20 have an A. All students that are level 16 and 17 have a B, and so on. The second option, and perhaps the one involving the least amount of work, would be to just let the grading software figure it out. Let the students pick their quests (projects), if they complete them they get the points. I hesitate to use this system as my limited math skills tell me that everyone who participates will simply get an A regardless of the effort put forth. Another possibility is to let the students reach whatever level they can to determine the maximum level possible (less math for me), then have the top 10% have an A, the next 10% down have a B, and so on. Everyone will still have the chance to earn an A if they all get within that top 10%. The down side will be that it’s grading on a curve, and in the past I’ve disliked any grading system where one enterprising student could “wreck the curve” by outperforming the rest of the class. To prevent that from happening I’d have to include some form of weekly XP cap to prevent someone from hitting level 300 in the first week and therefore demotivate the rest of the class. Well once again I’ve reached the point where my own eyes are beginning to glaze over and my ADD is kicking in. I’ll include the rest of my thoughts in Part 3. 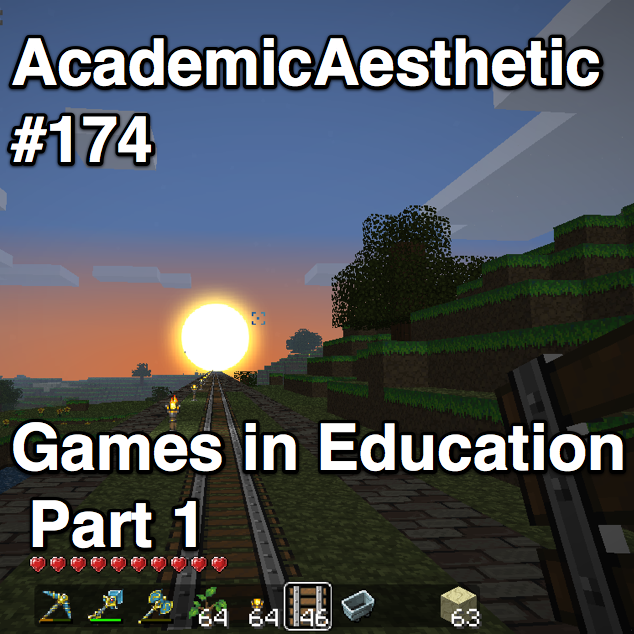 Those who have read my blog or listened to my podcast for any length of time are no doubt aware that I’m a fan of using games as a conduit for learning. I’m not talking about the “Educational Games” market, that will certainly dominate a large part of the Vendor area at this year’s MSET (I’m presenting again, yay! ), though some of those are good too. No, I’m talking about the games that kids (and adults) choose to play because of compelling content. Don’t think those games have educational value? Well I didn’t think art would help me with my math skills either, but I’ve learned and retained more about measurement, geometry, fractions, and graphing from my years as a visual artist than I ever did in a traditional math classroom. True, the information wasn’t crammed into me the same way in my art classes as it was in my math classes, but I think that was part of the problem. 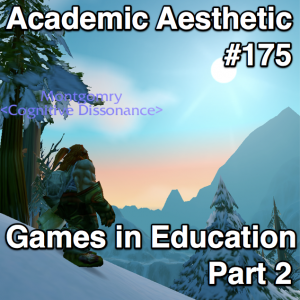 So … games as a conduit for learning. This is not an original idea of mine. There’s some really cool people who are thinking the same thing. The problem, however, is that it’s a new idea, and the realm of education is a slow, lumbering beast that learns new skills slowly. Many textbooks still say Pluto is a planet and that Bush is still President of the United States. I’m not the first to think of using games more in my classes, but my work isn’t even cut out for me. It’s time to grab my scissors. I started off three years ago in my last position by introducing select students to Sploder.com. Their age and other factors had us only use the free demo that did not allow for the work to be saved, but the results were promising. My students did not just design easy games or hard games, but instead set out to create a game that was just challenging enough to be fun. When they tested their games they evaluated the difficulty levels of their creations based on their own abilities, and added or removed monsters, power-ups, allies, and so on to make the game better from their own viewpoint. Sure, some started off making a level they could win instantly, but they found that just wasn’t fun after the first couple of plays. They weren’t engaged until there was a challenge. I sort of hovered around the “Sploder” level of expertise until late last school year when I learned about the World of Warcraft in School Program. Here were teachers using a commercially popular game to engage their kids and use it to teach mathematics, language arts (They’re reading The Hobbit as a parallel assignment to in-game tasks), and internet safety. Be that as it may, I’m not quite ready to push for a Warcraft themed curriculum in my building. This is more from my wallflower-ish nature (and some legitimate budgeting concerns) than any argument I’ve seen against the program. I first learned about Minecraft several months ago when a few videos made using the game went viral, but did not try the game for myself until one of my students started talking about it in class. I waited until the weekend, tried the free version, and within two hours had paid for the full version. On Monday I yelled at the student for getting me hooked on another video game. 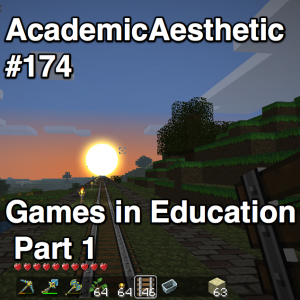 I even made an effort to include Minecraft in some of my lessons, as I showed in a recent podcast. They were fledgling attempts to find out what would work, but the results were promising. Now I’ve expanded my lessons around the game to include creating a “skin” for a Minecraft avatar and using other web based 3D editors to plan out what they intend to create in the game. This is my latest endeavor. 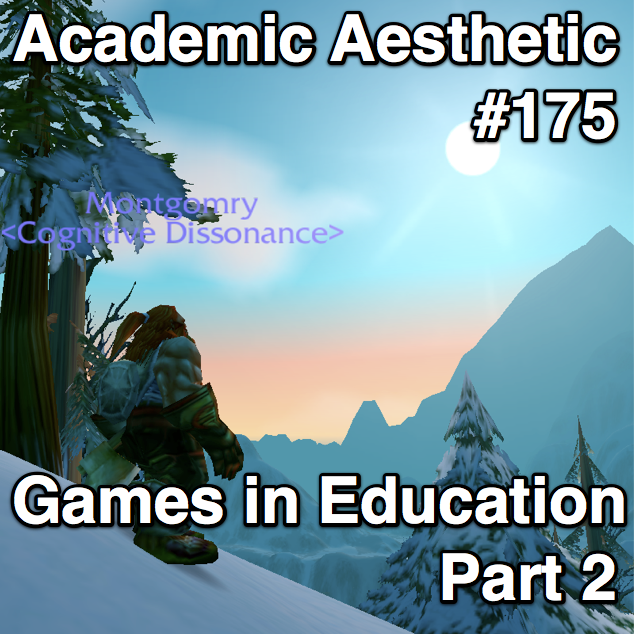 I’ll talk about this in Games in Education Part 2.